Most of the people who died in the August 12, 2015 Tianjin explosion were firefighters like Pang Ti. 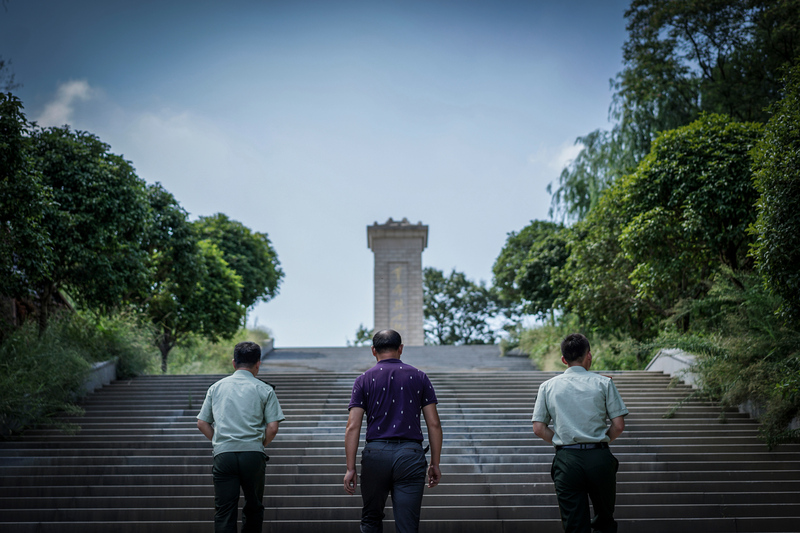 On August 10, 2017, two days before the second anniversary of Ti’s death, his father, Pang Fangguo, and fellow firefighters visit his tomb at Martyrs’ Cemetery in his hometown, Suizhou, in Hubei province. The anniversary of Ti’s death is one of the most difficult times for his family. Ti’s mother, Fang Zhiying, talks about her son through tears at home in Suizhou, August 9, 2017. Ti’s birth year and death year are carved on his gravestone at Martyrs’ Cemetery. To help ease the depression his wife sunk into after Ti’s death, Fangguo proposed having another child. In April 2016, they attempted their first in vitro fertilization (IVF) cycle. It failed. 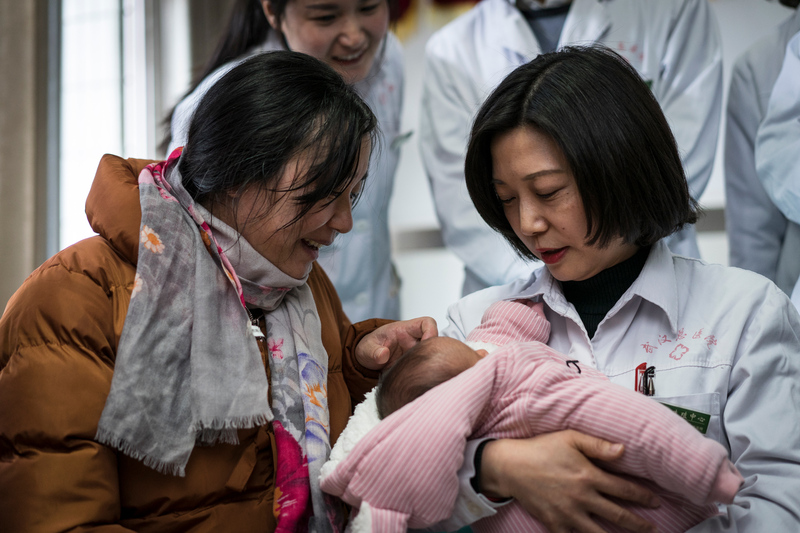 In China, the IVF success rate is less than 5 percent. On the fourth attempt, good news finally arrived, and in May 2017, Zhiying became pregnant. 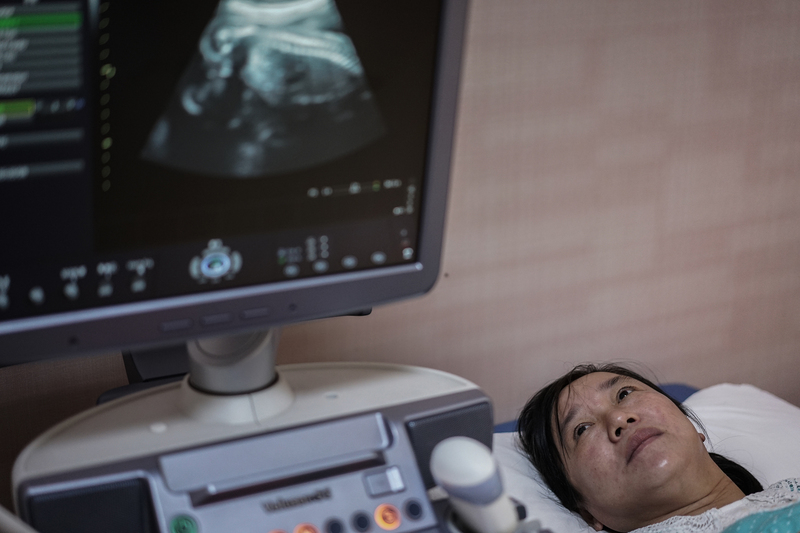 Zhiying sees an image of her twins for the first time during an ultrasound exam at a military hospital in Wuhan, the capital of Hubei, October 3, 2017. Fangguo watches Zhiying carefully walking downstairs at the hospital, in Wuhan, October 3, 2017. 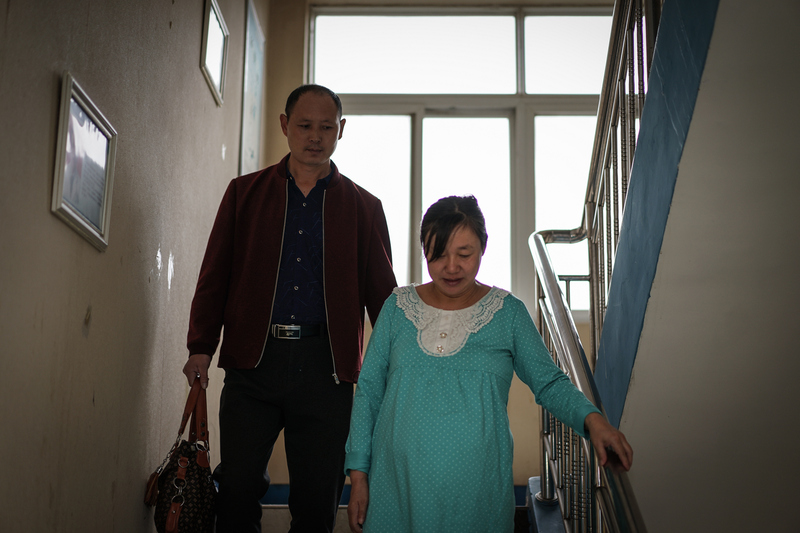 Even though carrying twins meant Zhiying and her babies faced higher health risks during pregnancy, they specifically tried to have twins when they started IVF because they hoped the children could take care of each other after the parents pass away. 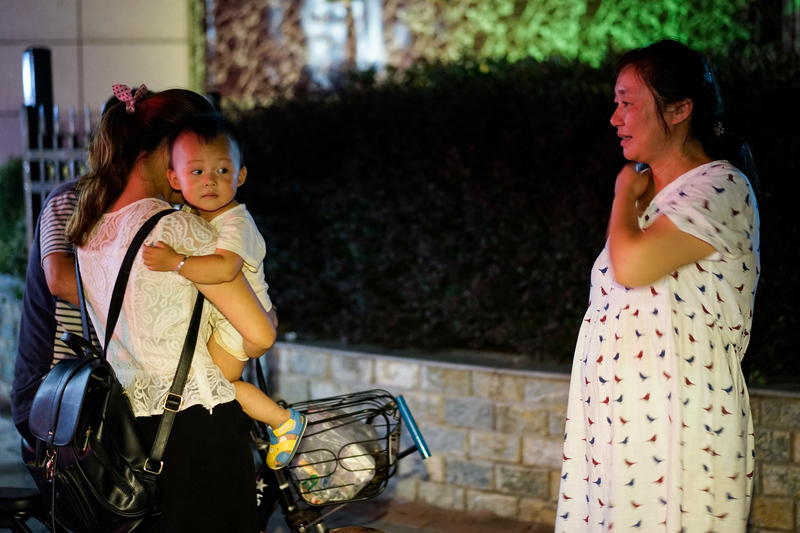 Zhiying and her nephew’s wife chat about pregnancy and birth in Suizhou, August 9, 2017. Zhiying rests at home in Suizhou, November 23, 2017. 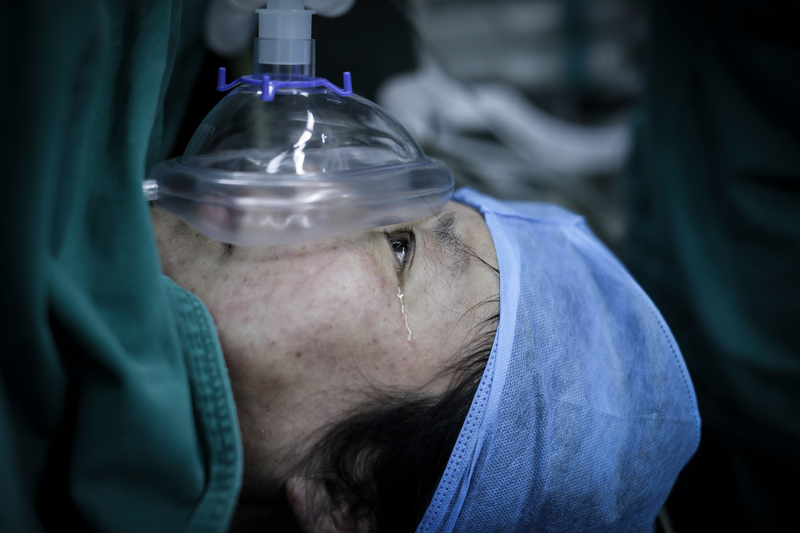 In addition to her age and emotional status, she faces another health challenge: 11 years ago, she suffered a cerebral infarction, a sudden blockage of an artery in her brain. IVF and pregnancy can increase the chance of blood clotting, which can be life-threatening. Zhiying had to receive a daily injection during the IVF process and pregnancy to prevent blood clots. 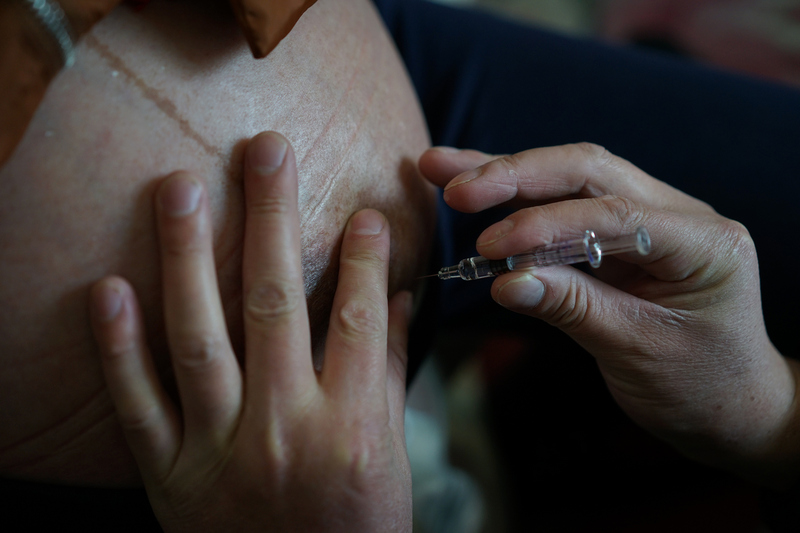 Fangguo injects medicine into Zhiying’s abdomen at home in Suizhou, November 23, 2017. 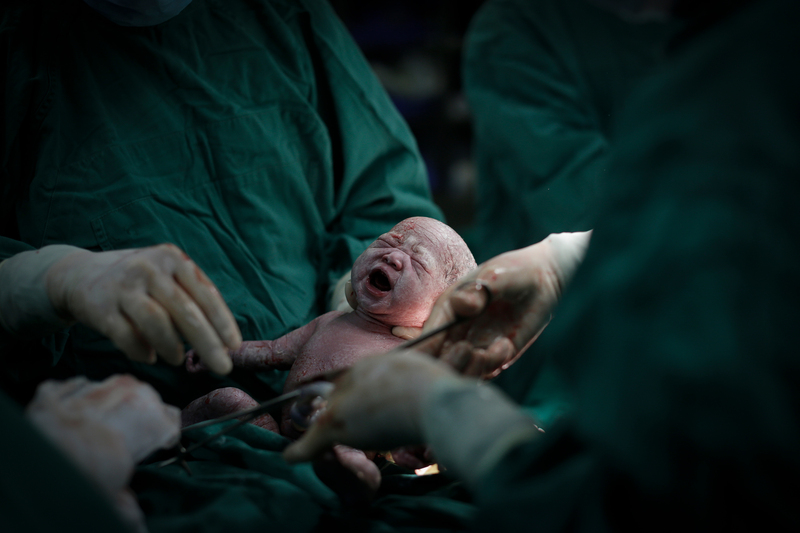 Zhiying checks into the hospital one day before her caesarean section, December 13, 2017. She is very nervous about the delivery. 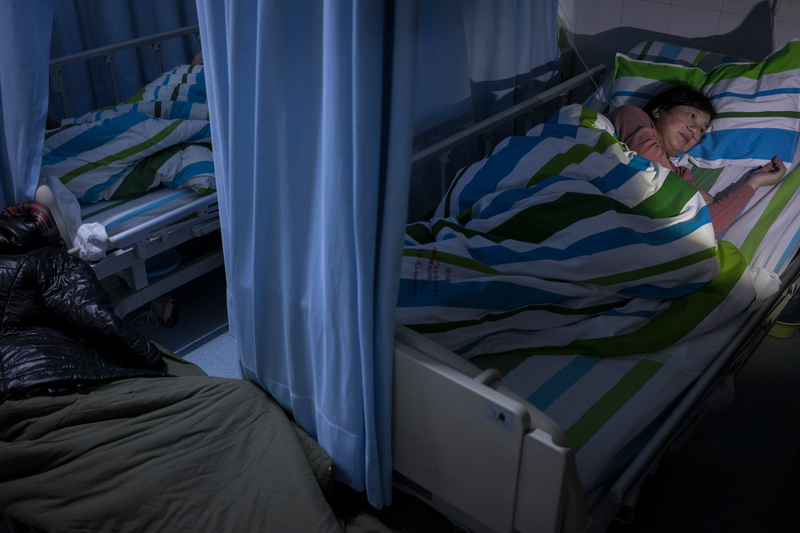 “I hope I can just fall asleep and the babies will be by my side when I wake up,” she said. 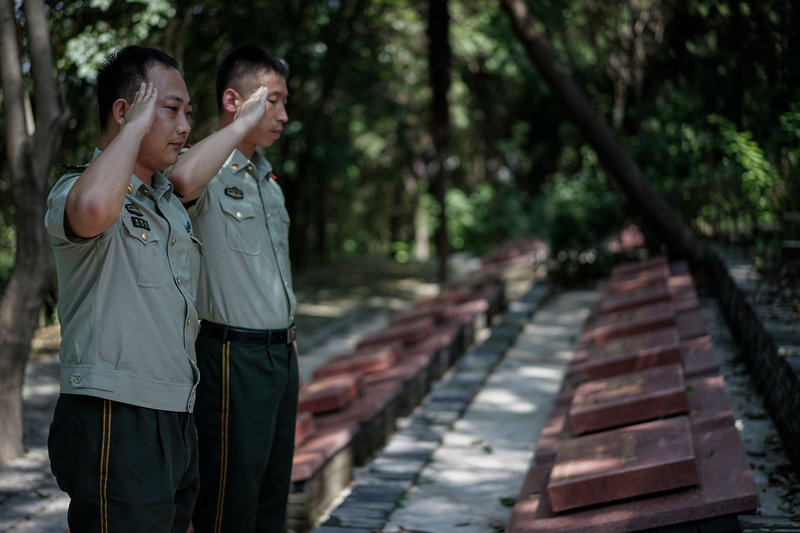 Ti’s fellow firefighters salute his grave, at Martyrs’ Cemetery in Suizhou, August 10, 2017. 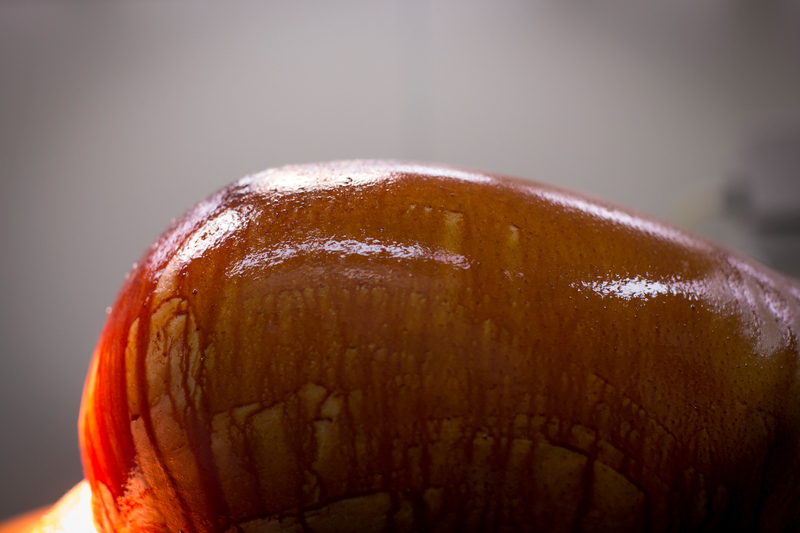 Zhiying gets ready for delivery, December 14 at 9:00 a.m. Iodine covers her abdomen. A few minutes later, her first baby is born. It’s a boy. Her second baby, a girl, is born two minutes after. 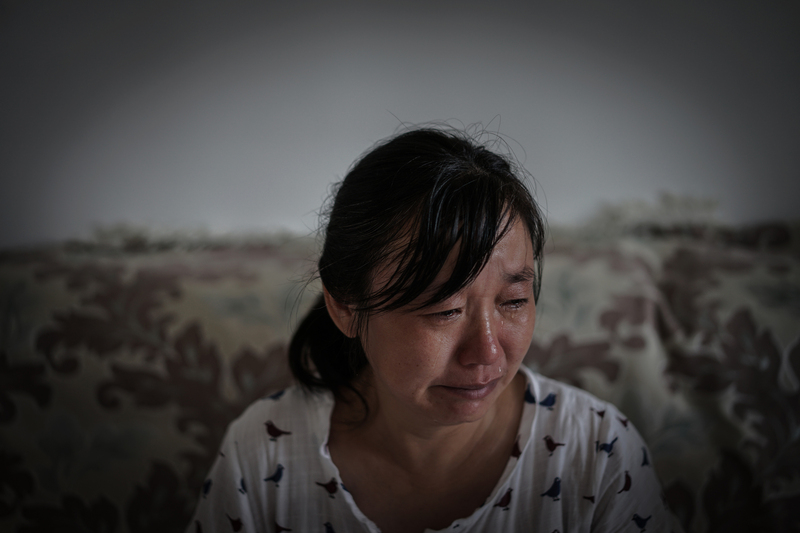 Hearing the cry of her babies, Zhiying cries. Because the twins were premature, they had to stay in incubators for several days. Fangguo finally gets to hold his children for the first time, December 17, 2017. 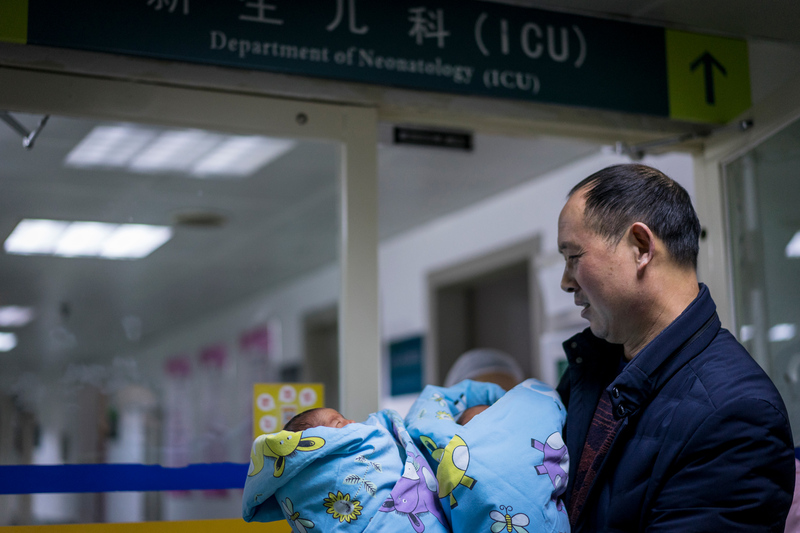 In order to prevent postpartum complications, Zhiying was sent to the Intensive Care Unit (ICU) after delivery. 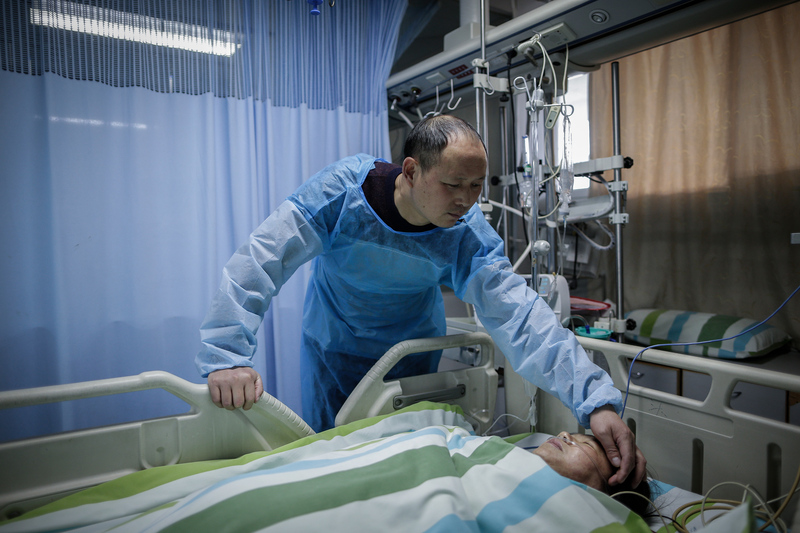 Fangguo visits Zhiying at the ICU while she is under anesthesia, December 14, 2017. Ti’s former colleague flew from Tianjin to Wuhan to visit, December 17, 2017. The mixture of happiness and yearning for Ti makes Zhiying burst into tears. 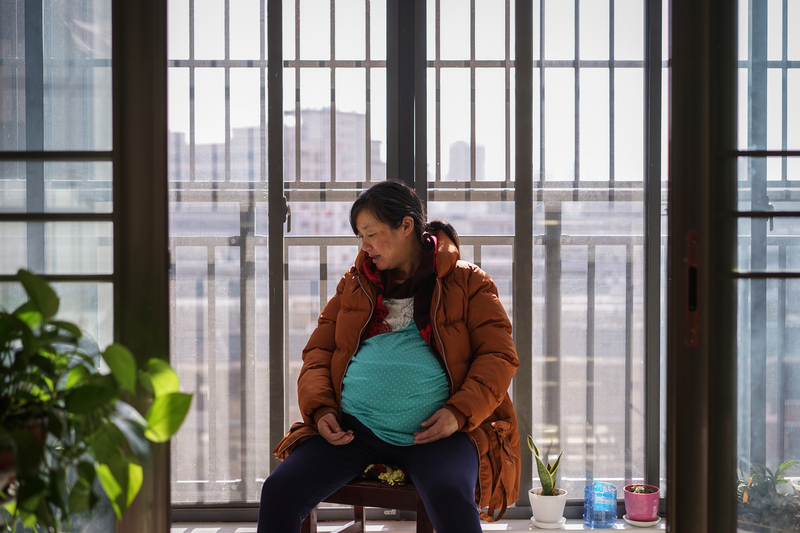 After “zuo yue zi,” or “sitting the month”––a Chinese tradition of restricting diet and activities for the first month after a woman gives birth––Zhiying and Fangguo bring the twins to the doctor who helped them with IVF, and express their gratitude, January 9, 2018. Zhiying and Fangguo feed the twins at home, in Suizhou, March 2, 2018. “The way to take care of babies is so different from when Ti was young. It’s hard for us to keep up with the times,” Fangguo says. 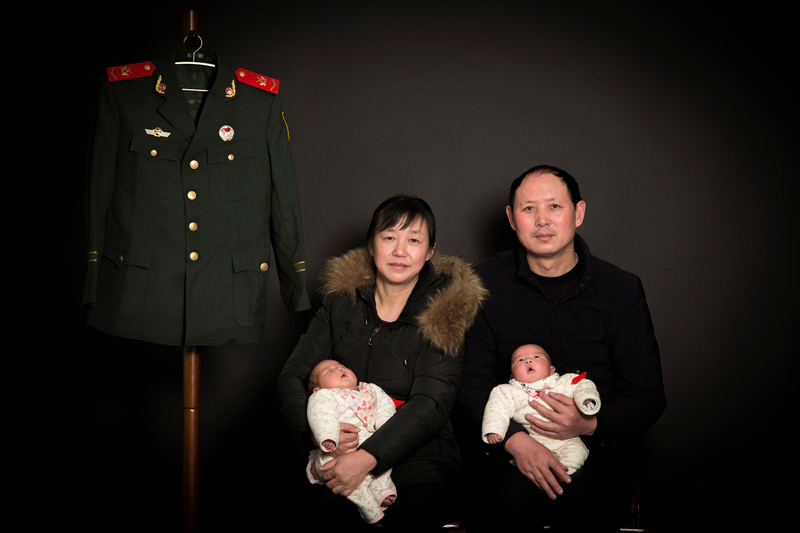 Zhiying and Fangguo hold the twin babies to pose for a family photo with Ti’s military uniform, at their home in Suizhou, February 10, 2018. The next day, Fangguo and Zhiying visit Ti’s grave and burn a copy of the freshly-developed family photo, to send to their deceased son. 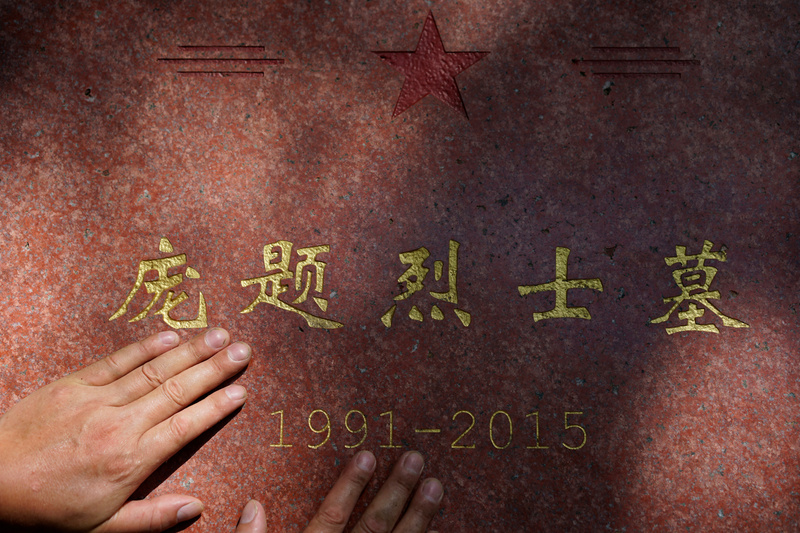 The August 2015 Tianjin explosion claimed 173 lives, and the 24-year-old firefighter Pang Ti was one of them. 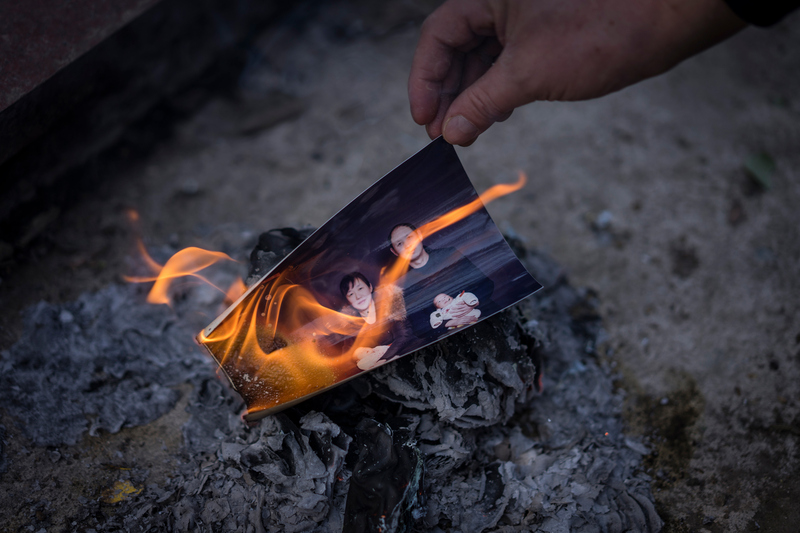 That disaster at a chemical warehouse, caused by mismanagement and lax oversight, put his parents Pang Fangguo and Fang Zhiying among the more than one million “shidu” families in China. Shidu means “losing the only,” and refers to the loss of only children—many of whom were born during the 36 years of China’s one-child policy. 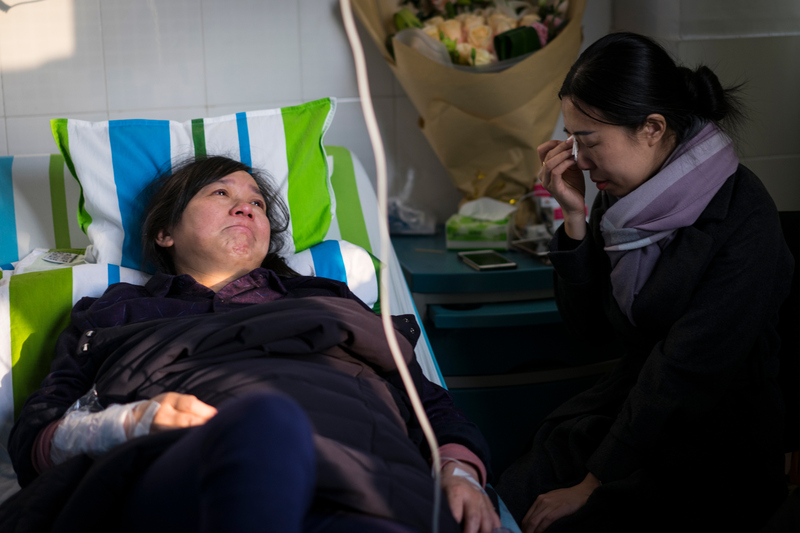 Since their son’s death, Pang and Feng, both in their late 40s, have not been working and have been living off government compensation from the explosion. In late 2015, they decided to try in vitro fertilization (IVF) despite its high cost and low rate of success.